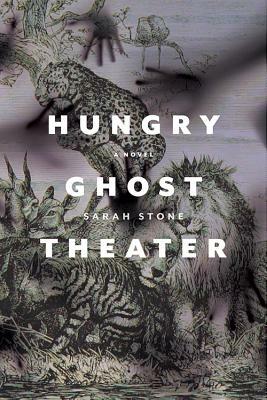 An inventive, funny, sometimes heart-breaking exploration of the connections between art and hunger, duty and desire, and loss and survival. Brother and sister Robert and Julia Zamarin are trying to awaken the world to its peril with their tiny political theater company, while their sister Eva, a neuroscientist, searches for the biological roots of empathy. As Julia attempts to break free of Robert's influence, Robert, as lost without her as she is without him, takes on dark material and drives away members of their company. Meanwhile, the whole family contends with the ongoing troubles of Eva's youngest daughter, Arielle, as she struggles with addiction. Finally, after a family catastrophe, Julia and Robert reunite to create a new piece in a possibly haunted theater institute. When Arielle shows up after her latest relapse, they all have to find a new way of living in--and with--a world out of balance. The adventures of the eccentric, memorable Zamarin family take the reader from San Francisco to Seoul, from theater spaces to psychiatric hospitals, from Zanzibar to the Santa Cruz Mountains, and into and through a series of Sumerian and Tibetan hells. This imaginative, provocative novel is a contemporary Inferno for fans of Margaret Atwood, Ruth Ozeki, and Lydia Millet. "With her laser intelligence and gorgeous prose style, Sarah Stone has written a thrilling hybrid of a novel about the intricacies of family life and the inevitable handing down from one generation to the next of our deepest passions and pathologies. Set around the world--and in the next one--this book is both marvelously inventive and deeply humane. I loved it." --Ann Packer.